Farmhouse style has been catching on big time. The style is comfy and vintage, I love the rustic but homey, welcoming feeling of the rooms. In our hectic stressful lives there is nothing better than coming home to a warm cozy setting. 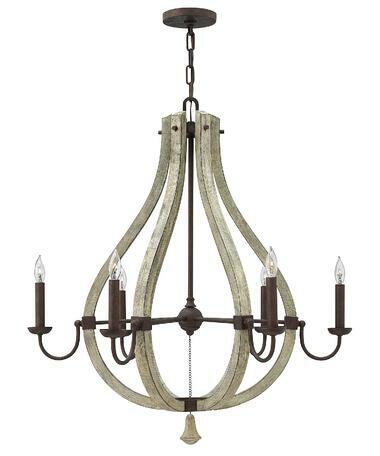 We will look at the Farmhouse style and then look at a few fixtures. Farmhouse style is a simple, unpretentious look based on you guessed it, the farm. You would usually see an informal welcoming area (the farmer's porch). 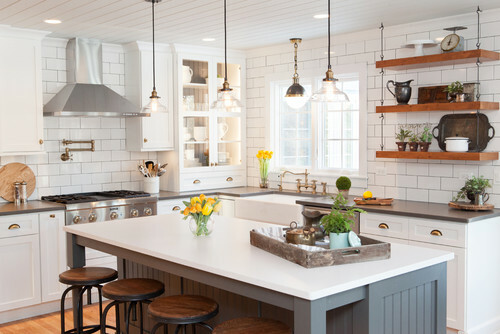 In terms of style, white cabinets are the dominant look in the kitchen along with wood tables and of course the apron front or farmer sink. It is a rustic look with simple touches. Farmhouse is not about formality, so a crystal light probably would not be appropriate. Consider a more basic type of light. 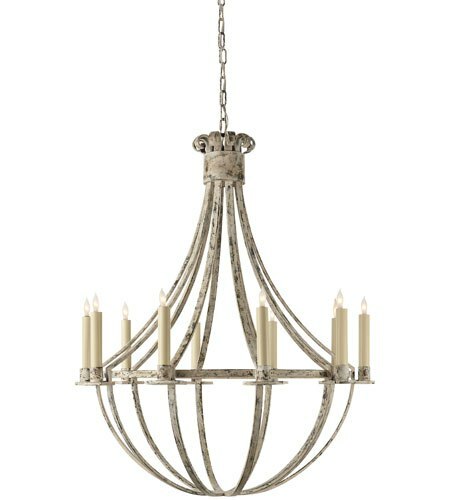 Following a few chandelier suggestions for your Farmhouse kitchen. 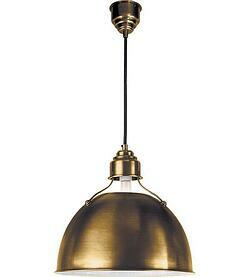 The orb is a very popular style and is an easy transition between modern and farmhouse. A metal finish is another option to achieve the look. 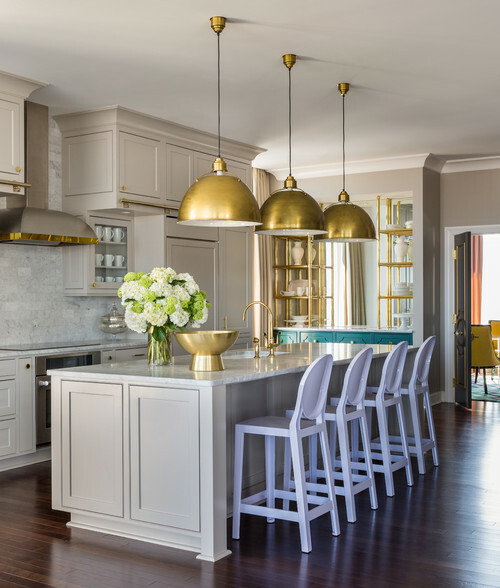 Using brass or copper gives you a warm, welcoming feeling. 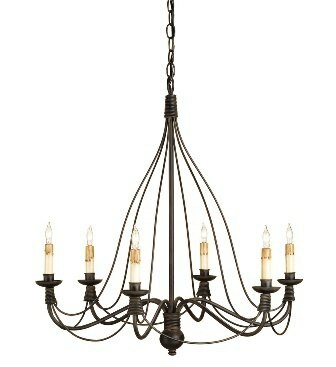 This chandelier from Curry and Co. is very traditional and the dark finish goes well with a farmhouse style table. This large lantern brings a big farmhouse touch to this cozy dining room. 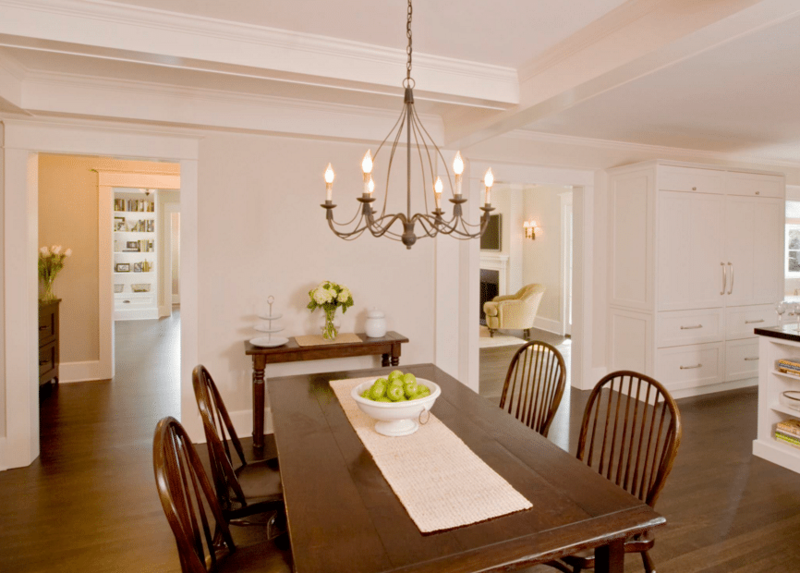 The wood in this chandelier completes the farmhouse look along with the ubiquitous farm style wooden table. I saved the best for last. 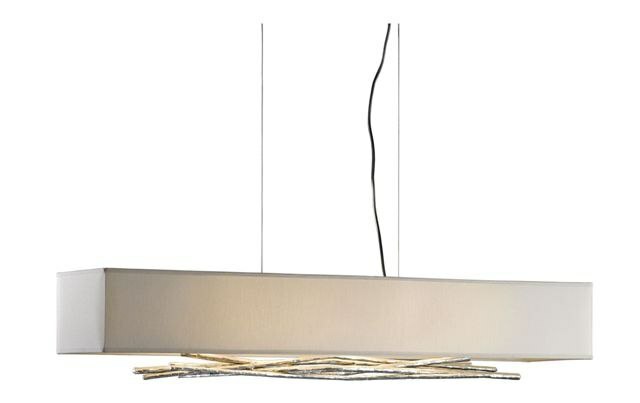 Hubbardton Forge is one of my favorites. Their designs compliment any style from contemporary to farmhouse. 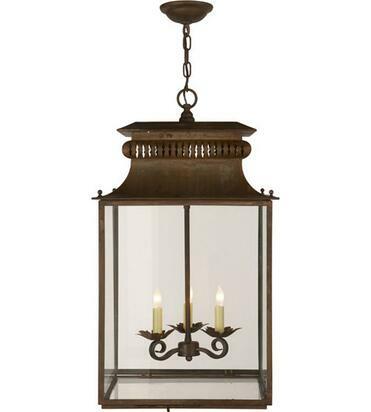 This fixture has a shade and simple metallic elements. 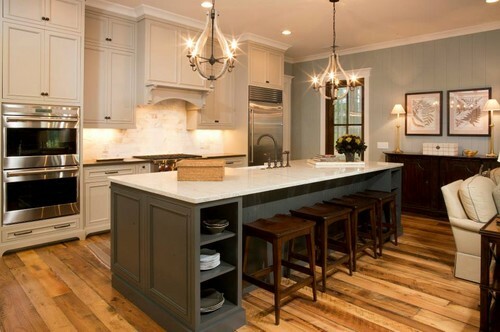 Farmhouse style has become popular because of the homey, yet chic feel it brings to the room. 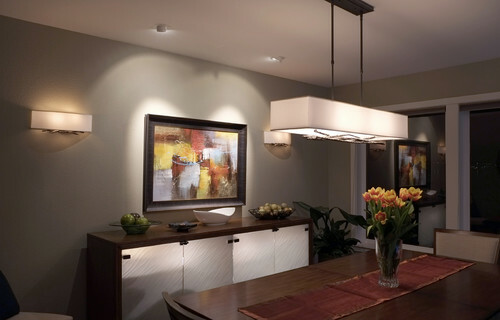 Keep it simple and realize that decorative lighting is based on your personal preferences. Have questions about lighting your kitchen? Get the Yale Kitchen Lighting Buying Guide. This guide will take the mystery out of proper illumination. We will show you how to layer lighting, better effects for accent, task, ambiance and decorative. Well over 150,000 people have read a Yale Guide.